With the latest technology eye strain has become a huge problem since a normal human being spends about 4 years of his life staring at a digital screen. It can also be caused by other factors such as reading in low light for a long time, incorrect vision prescription, lack of sleep, direct exposure to dazzling light...etc If ignored, eye strain can lead to irritated discomfort and dry eyes and that's something you don't want to experience. Cut one potato or an apple fruit into several segments, then relax and lay down somewhere nice and quiet, and place a slice on each eye for 15 minutes. Repeat this simple remedy whenever your eyes strain. Take a little amount of pumpkin pulp and mix it in a blender, And then apply the mixture on each eye as a poultice for 15 minutes. Prepare two kitchen container: one has warm water and the other has cold water. Soak a piece of cotton in warm water and place it on your eyelids for five minutes, then do the same thing except this time with cold water. Repeat this process several times for half an hour so that it ends with cold water. 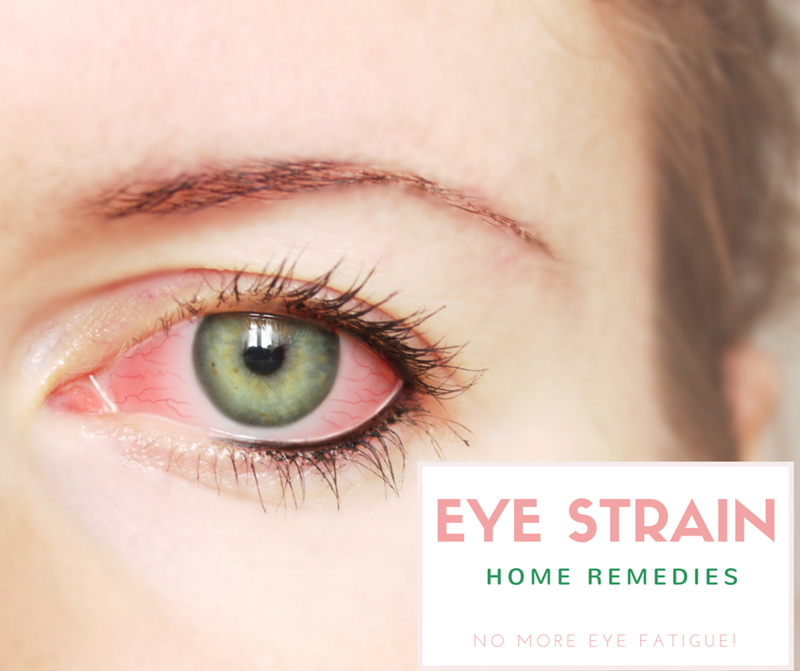 Eye strain is usually caused by the concentration of a matter at a close target for a long time, which causes the eye muscles to shrink and feeling fatigue. To resist it from occurring, the easiest method is to take breaks every few minutes of work by taking a walk around the place or looking from the balcony. Do you have computer eye strain? Information listed above has been reviewed medically and the main purpose of it is to increase the cultural awareness of herbalism and natural treatment. With that being said; it is not a substitute for consulting with a specialist doctor as the only guide for an accurate individual analysis. To learn more about our sources that the above content was excerpted from please (click here).